Organizational flow chart uses special shapes to represent different types of actions or steps in a process. With organizational chart examples and templates, Edraw is designed specifically to help you create organization flow chart. Create flow charts - Fast and convenient Flow charts drawing by using our visual flow chart designer. Problem solving flow charts - when the problem is presented visually, you can sometimes see a solution - even if you was stuck with it before. Organizational charts - easy to change, multilevel, and containing hyperlinks to related documents in your computer or in the Internet. Web site flow charts - create and maintain the site map of your company with just few mouse clicks. When you are saving the image, a corresponding HTML code is saved, too. All you need to do is to use it! Flow charts for software developers - Use famous "clouds", with all kinds of arrows and textual comments to visually present your code. Flow charts for presentations - You can create images that appeal to your audience. You can insert images. You can export results to many popular image formats. 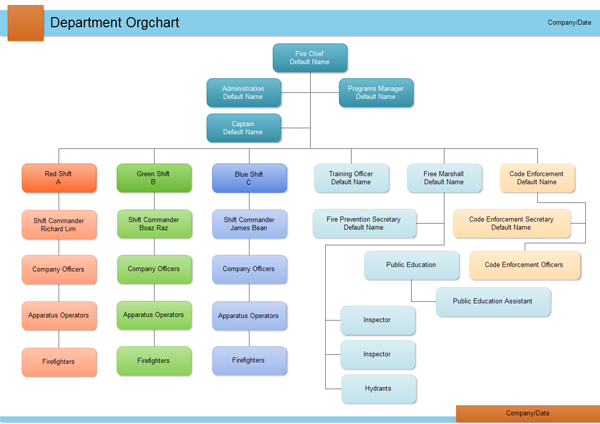 Here are some example organizational flow charts, showing the basic organizational chart, department organizational chart and finance organizational chart. 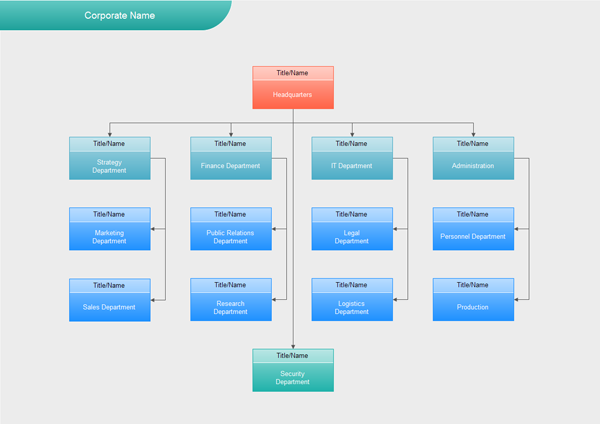 Making an organization chart can be somewhat difficult if you are using a software program that isn't designed specifically for creating an org chart. There are a number of software programs used to draw hierarchical charts of organizations, and they make the process easier. 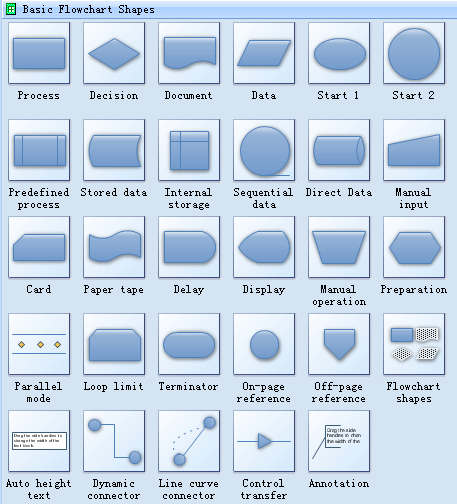 If you use a Visio, which specializes in doing many things, you can make and organization chart. But it may not be as easy as using a program geared specifically for making a company organization chart. So where do you start? If you want to make an organizational chart, you will have to use a software program like Edraw. It was designed particularly to help you build organization flow chart. If you don't have a specialized product, you may still use a general software program for making an organization chart. You can take the shape makers and draw the boxes for each employee you want. Some say that it's a tedious process, though. We really recommend that you purchase an organizational chart software program that will help you make organization chart easily. 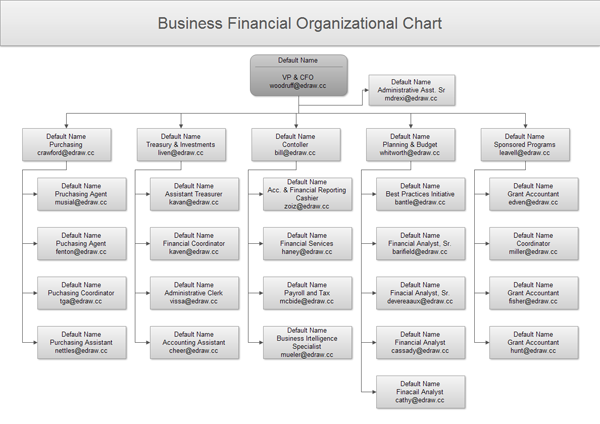 It's much easier when you use a software that is made specifically for make organization chart. The reason it is easy is because the makers have anticipated everything you are going to need. The prices for these programs are incredibly reasonable and the time they will save you will pay for itself hundreds of times over. Every organization, no matter how small or large, must use an org charting software to help it track it's employees. It's a necessity that cannot be overstated. It will help you make decisions that assist in bringing the company higher levels of operational efficiency. The opportunity to create an org chart that can tell you who has been in the company the longest, who are the highest paid employees, where are you allocating too many resources that can be downsized- what you can do when you make an organization chart is limited only by your imagination.